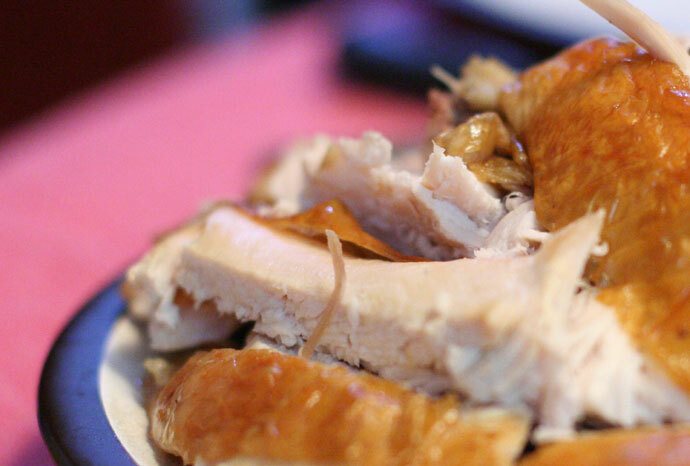 Eating a “turkey dinner” on Thanksgiving is a common tradition in Canada. 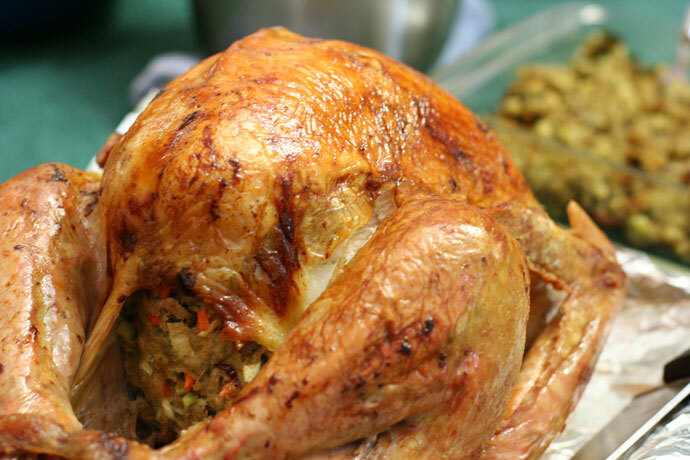 Turkey is usually served with a stuffing that can be cooked inside the bird, and other dishes such as mashed potatoes, brussel sprouts, peas and carrots, gravy, and cranberry sauce. I was fortunate to enjoy two home cooked Turkey dinners last weekend, one with family and one with friends. Yum! 14,556 views. This entry was posted on Saturday, October 13th, 2007 at 12:32 am	and is filed under Food Photos, Offtopic. You can follow any responses to this entry through the RSS 2.0 feed. You can leave a response, or trackback from your own site.